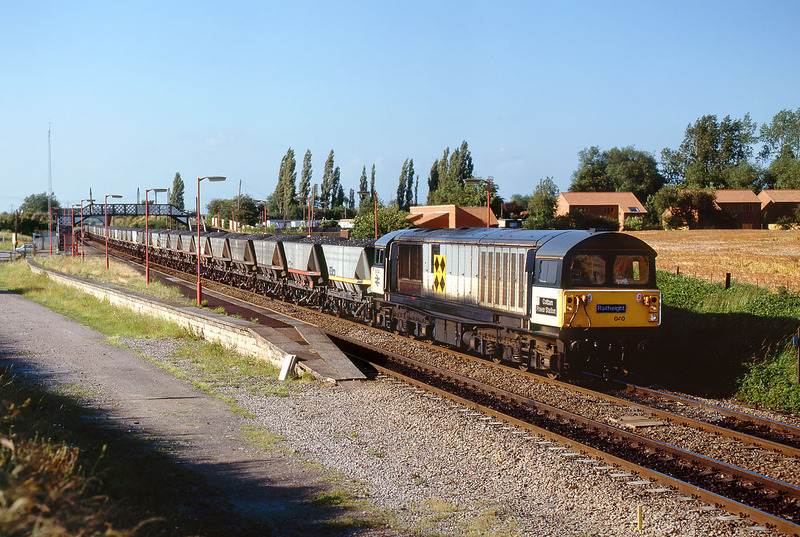 58040 Cottam Power Station passes through Radley station on 9 July 1991 with the 7V85 Toton to Didcot Power Station MGR coal. This was in the days when Radley station was little used, with just a couple of cars in the car park, in contrast to today's completely full and extended car park. Also, in 1991 the down platform seemed to be growing a substantial crop of hay!